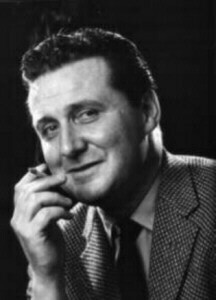 Daniel Patrick Macnee Portrayed: Debonair, bowler-wearing agent John Steed in the 1960s English TV spy series The Avengers. Webber-Douglas Academy of Dramatic Art in London, 1940. Stage Debut: Gerald Forbes, "When We Are Married," Forbes Russell's Repertory Company, St. Francis Theatre, Letchworth, U.K., 1940, for five days. Film Debut: "Colonel Blimp" (also known as "The Life and Death of Colonel Blimp"), General Films Distributors, 1945. TV Debut: Laertes, "Hamlet," BBC, 1947. 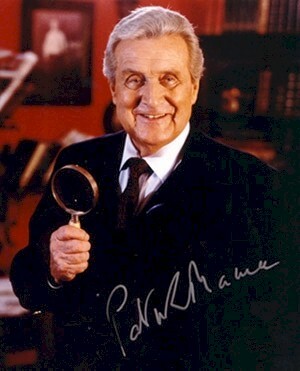 Awards: Variety Club of Great Britain Award, Joint Television Personalities of the Year (with Honor Blackman), 1963, for "The Avengers;" Straw Hat Award, Best Performance in a Long-Running Play, 1974, for "Sleuth;" Golden Camera Award (Germany), Popular Television Personality, 1983, for "The Avengers;" Freedom of the Town of Filey, U.K., 1962; Freedom of the City of Macon, GA, 1984. 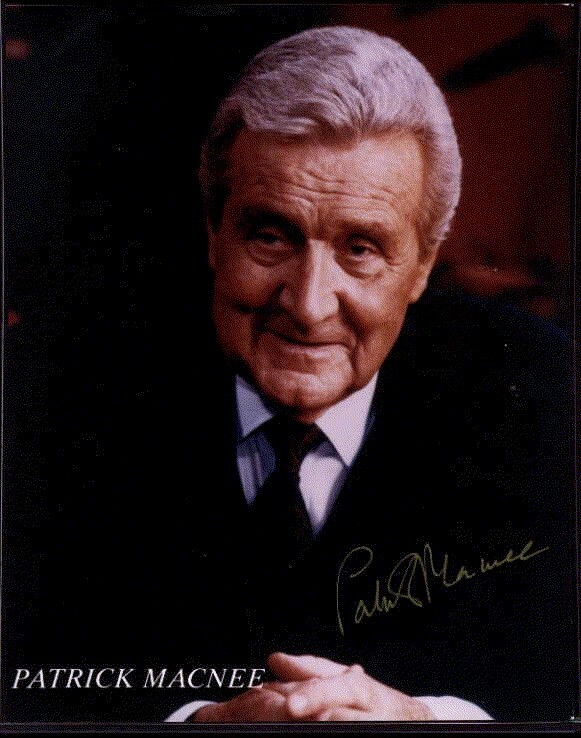 Patrick Macnee has appeared in many movies and TV series. Follow the links to see the sheer quantity of his appearances. Some were only his dubbed in voice with cheesy special effects ("Super Force" and "The Avengers Movie" - don't get me started on the movie, I only mention it as an example...). His voice is distinguished and thoroughly British, putting charm and flair into every performance. Not to turn down many parts, Mr. Macnee appeared in some stunningly horrible movies 'and' TV series - playing bizarre, outlandish, eccentric, and insipid characters. I am sure that it wouldn't have mattered 'who' played those roles, the parts and the stories were hopelessly awful. It just happened to be Pat who played those roles. I will be honest and admit that some of his appearances were less then stellar, but it is mostly due to the quality of the story, film, or program he was in ("Lobsterman From Mars" and "Spaceship" stand out most in my mind). I would not be surprised if these movies follow "Plan Nine From Outer Space" for being so utterly bad (deplorable adjectives fail me), yet they were funny to watch because they 'were' so bad. This is NOT a criticism of Patrick, quite the contrary. I've listened to the many Jack Higgins Audio books on tape read by Mr. Macnee and I thoroughly enjoy his presentations. His many accents and voices are a true joy to listen to. I've listened to a large quantity of books on tape and I can honestly say that he is one of the best there is. A major reason, I'm sure, that he appears in voice-overs for so many shows. Where Jack Higgins can write a wonderful and spellbinding tale, the writers of the aforementioned movies 'aren't'! 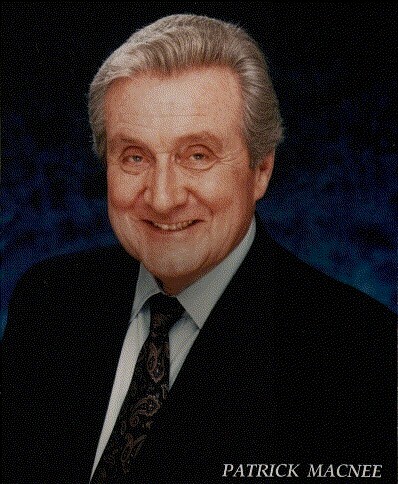 He appeared briefly in some TV shows and appeared to really enjoy the parts ("Diagnosis Murder", "Fraser", "Spy Game", "Alfred Hitchcock Presents", and many others) - which makes his characters enjoyable to watch. Yet, I always return to "The Avengers", because that is what I enjoy seeing him in. He can be serious and flippant as Steed and pull it off with flair. In fact, he is the 'only' Steed there should be on screen! Where is Patrick on TV this month? Check out TV Now! Yahoo! Groups: Avengers_at_Suburbia. Owner is CalWestray. Yahoo! Groups: 3_Stable_Mews. Owner is he_who_whispers. Yahoo! Groups: The_New_Avengers. Owner is bromfieldhall. Yahoo! Groups: JLC's_Avengers. Owner is Jennifer Coffin. Yahoo! Groups: QuiteQuiteFantasticAvengers. Owner is Michael Phillips. Yahoo! Groups: Avengers1960sFanClub. Owner is sputnik spooner. Yahoo! Groups: Steed's Riding Club. Owner is Kristina Marie Vernon. Yahoo! Groups: TheSecretAvengers · The Avengers: The Classic 60's TV Show. The Avengers . . . just for the sheer love of it. Particular focus is given to the relationship between John Steed with both Cathy Gale and Emma Peel. Owner is thenakedspy and Moderator is megastarlite. To view the previous Guestbook entries.